6-CD box (LP-size) with 70-page hardcover book, 157 tracks. Playing time approx. 406 mns. 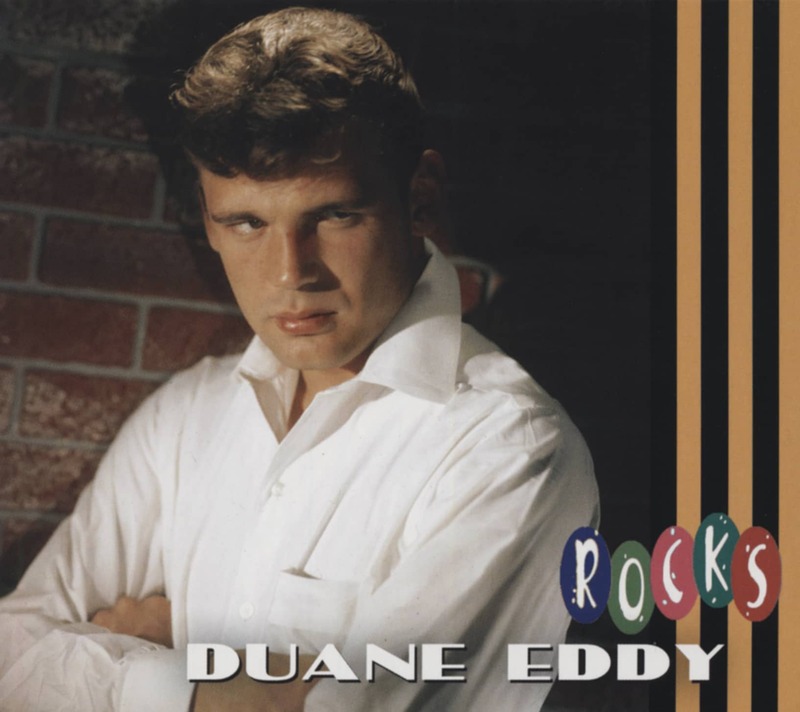 Duane Eddy is the best-selling rock instrumentalist of all time. 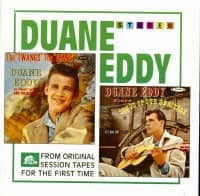 The recent resurgence of interest in his RCA Victor recordings has paved the way for this magnum opus. The master of twang was at his peak of popularity and fame during this period, spawning 7 Top 100 singles and 9 popular albums. 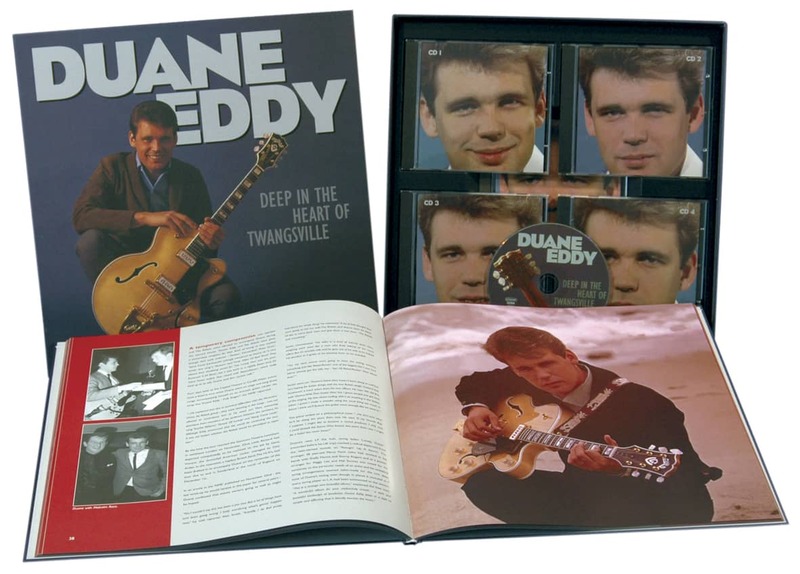 In a 2-year period - Duane Eddy's most prolific ever – he waxed more than 150 recordings, all of which are spread over 6 CDs. 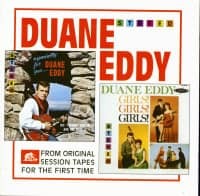 Many unissued titles as well as stereo tapes of some of his singles appear here for the first time; 27 rare and unissued tapes, a rare soundtrack and the usual well illustrated book, complete with bio and a full discography. 7 hours of twang and hours of good reading. 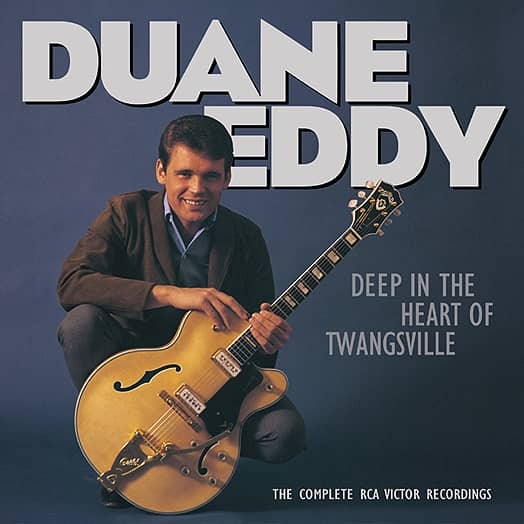 Customer evaluation for "Deep In The Heart Of Twangsville (6-CD)"
Ein perfektes Box Set, welches mir persönlich sehr gut gefällt.